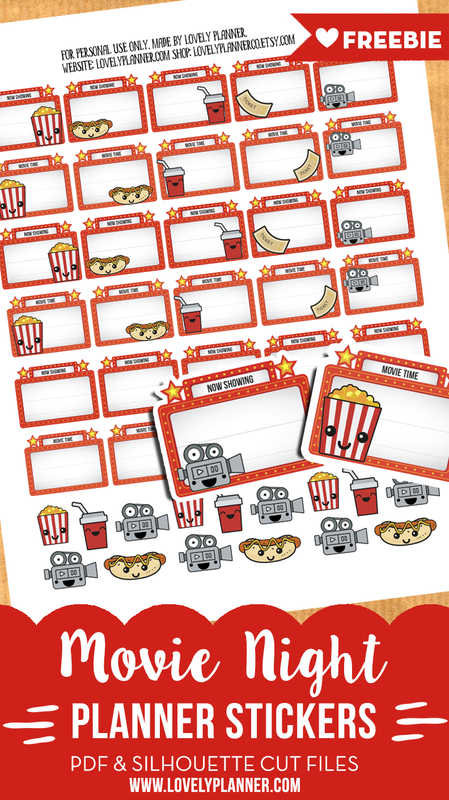 I’ve been wanting to create these Movie Night planner stickers for a long time and here they are now, so I’m happy to share them with you! 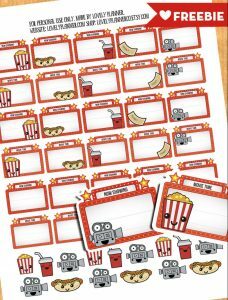 Whether you’re going to the movies and making a fun night out of it, or just enjoying watching movies at home, it’s nice to be able to document your favorite ones with cute stickers. 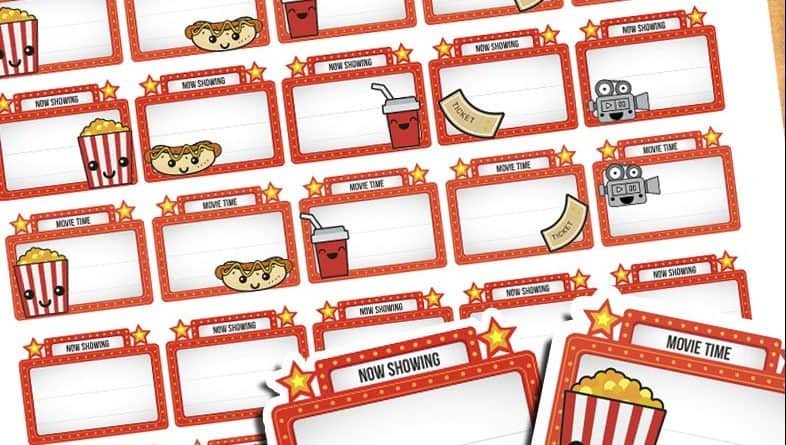 To create these Movie Night planner stickers I’ve decided to shape them as little marquee signs (2 different messages above: “Now showing”, and “Movie Time”). This way, you’ve got space inside the marquee to write down the title of the movie you’re gonna see. I’ve also created and added little kawaii “movie” characters (5 different designs) on most stickers but I’ve left a few blank marquee signs for those days where you want to keep things a little more simple or grownup in your planner haha. I filled the bottom of the page with the cute movie characters, because I find them adorable and I guessed you’d like to be able to use them on their own too! You’ll end up with a grand total of 30 marquee signs stickers and 15 character stickers. 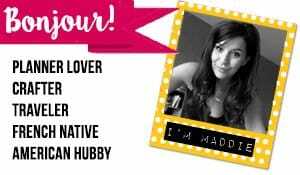 Their width is 1,5″ so that they can fit in your planner boxes if you use a Happy Planner or Erin Condren Life Planner. This size will also fit nicely in any other type of planners. Thank You!!!! I love your free stickers – they add soo much to my planner. These planner stickers are so cute! I going to see what else you have to offer! By the way, thank you for making these available! Completely awesome! Thank you for making them free! This they’re exactly what I’ve been looking for to remind me and my family when its time to enjoy ourselves as a family! Please keep the ideas coming! These are down right a.dor.able!!!!!! Thank you so much for sharing! these are so cute. thank you for allowing us to download this cute file.